The weather is finally nice out which makes me so happy! The boys and I can spend longer days at the park and playground now. Spring is my favorite season and as a Virgo perfectionist, I love to Spring clean and get rid of things, as well as all of the dust. Having three boys means lots more dirt and sand (the sandbox is always a playground favorite) in the apartment. Especially with the twins walking and running around now, they pick up everything and bring it home. All three boys get pretty gritty at the park; but they have so much fun, so it’s worth it. A few weeks ago I started getting rid of toys and clothes that are too small for the boys now. When I get rid of things I like to clean at the same time. I pull all of the clothes out and wipe the closets and drawers down. I feel so much lighter and ready for the nicer weather. I also do an annual cleaning under the rugs, behind every nook and cranny, the blinds, the bookshelves and even take the fridge and stove out and clean behind them. I was recently introduced to Branch Basics natural cleaning products and I really like them. It is so important to have products that are not harmful when you have young kids. I believe choices like the food we eat, the paint we use, and the cleaners we have in our homes should all have the power to keep us in good health. Many cleaners and detergents have a major impact on our overall health. 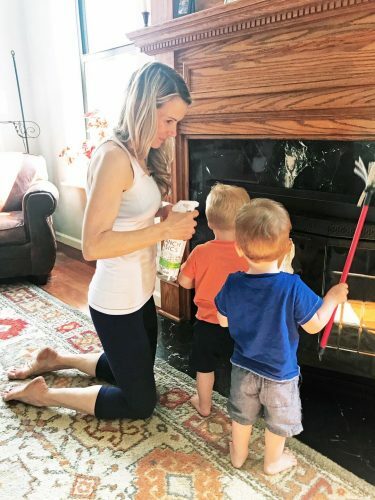 The twins love to help me clean ( I spray the table and the boys wipe). I have to do it again after; but they are so cute helping me and my nanny clean. Many cleaning products have harmful chemicals, and preservatives in them like methylisothiazolinone, phenoxyethanol, or sodium benzoate which are very harmful. It is so important to know what your cleaning products have in them. Branch Basics are human-safe, plant and mineral based, free of harmful preservatives, biodegradable, not tested on animals and non-gmo. Branch Basics is one product for one hundred uses, which I think is pure genius that I don’t have to change the bottle when I move from the table to the kitchen sink. Branch Basics simplifies my life by not having to worry if the boys get into the bottles or if one spills all over the carpet. I know their products are not harmful and can be cleaned up right away. Branch Basics products tackle everything from the bathtub grout to hand washing, to stain treating and even windshield wiper fluid! Branch Basics products work on everything, the products are safe and don’t use harmful ingredients. The products streamline cleaning by having one versatile concentrate for every surface. I love how you just mix the concentrate with water and you can have less waste, since you can reuse the spray and foamer bottles. You can even use it for laundry. Branch Basic is sold at a great price point, you can get 16 all purpose bottles for $3 each. 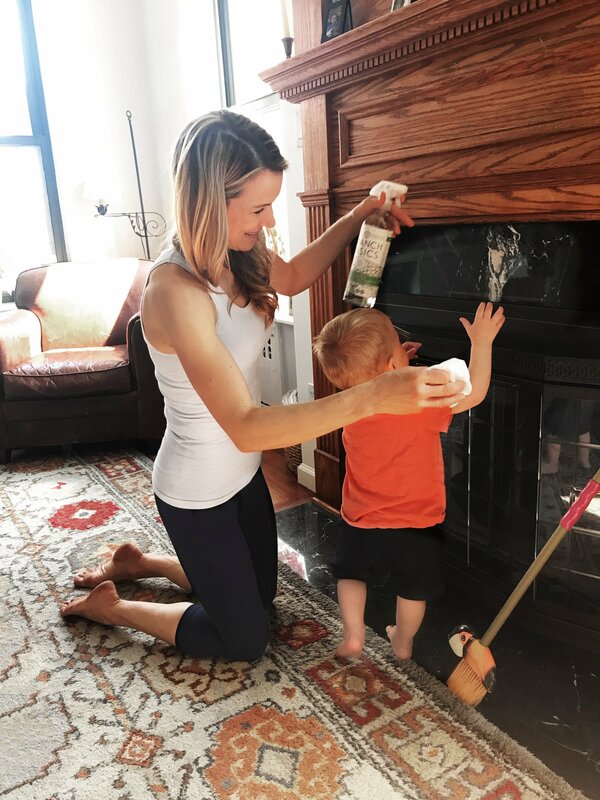 It is so easy, all you have to do is pour the concentrate into the spray bottles and you are ready to clean by yourself, or in my case with the twins. This is a product that I would recommend to anyone with or without kids. The products make me feel safe keeping them in my house with three little kids and I love doing something good for our environment. As a mom, if I can continue to make conscious decisions when buying products that are not only good for me and my family; but also good for mother earth, I am very happy.